Gause Built Custom Boats takes the “Custom” part of their name very seriously. 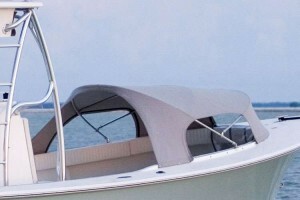 Each boat is put together for a specific owner and is customized to reflect that owner’s taste and needs. 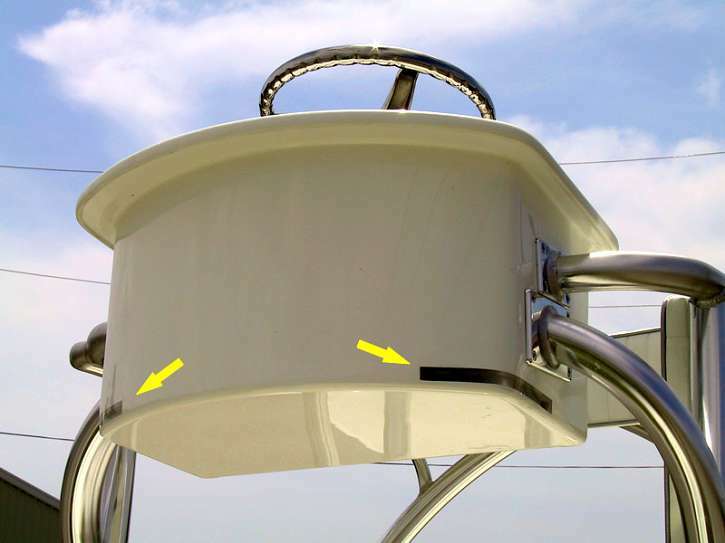 These photos display just a few of the innovative custom features which you can add to your boat when it is built just for you. Flush mount LED navigation lights. It’s often the small features which set a truly beautiful boat apart from the rest, and when function and beauty combine you get the best of both worlds. This feature is so subtle that it might easily be missed, but so gorgeous that once it’s noticed it becomes a standout! The port and starboard navigation lights on this boat are LED’s which have been inlaid into the upper station control box. Absolutely flush with the outside of the box, these lights are out of the way (you’ll never snag a line on them. ), protected from the elements, and damn beautiful to boot. Form + Function = Beauty. The Dodger Top is a great way to provide more comfortable accommodations for friends and family. It provides a large comfortable area to be out of the sun, and on windy days helps block the spray. It can even be configured as a complete enclosure and is spacious enough for two people to sleep under. 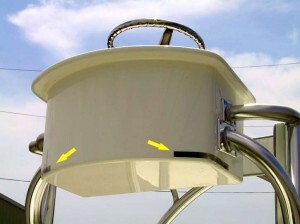 Of course, for fishing, it folds virtually flush to the deck so that you have complete access to the bow. Carefully thought out and designed, this is one of our most popular features. All these features and many, many more are available for your next Custom Built Gause Boat. Give us a call or come out for a ride and let us demonstrate just how well this new design works, and how we can build the “perfect” boat for you. Flats Boat? Sport Fishing Boat? Get both in a Gause Built 26!